eReaders are dead, they say. Tablets are the future, they say. Something tells me not everyone agrees with that idea. 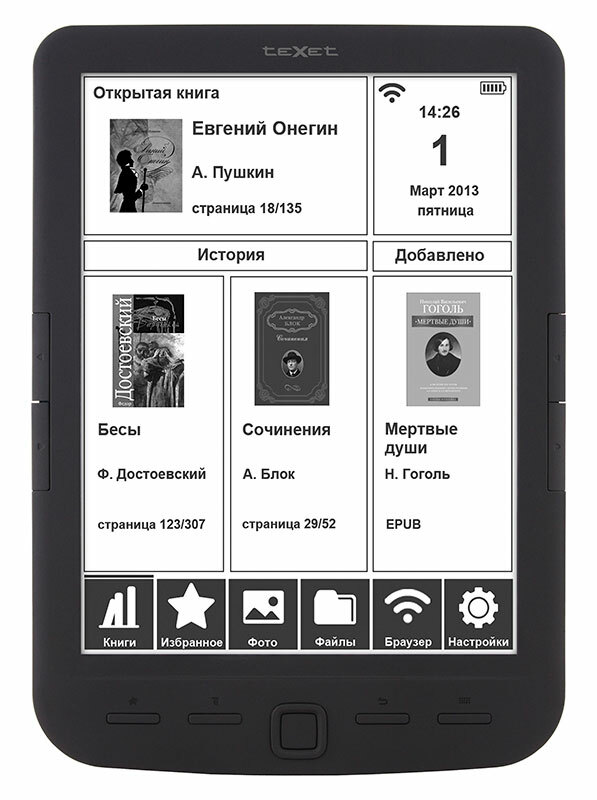 The Russian gadget maker teXet announced earlier this week that they will soon release another ereader. The teXet TB-138 has a familiar 8" epaper screen, 4GB of storage, a microSD card slot, and is going to cost 5990 rubles, or about $185 USD. This ereader is largely identical to the Trekstor Pyrus Maxi, a German ereader that was unveiled in April. Like the Pyrus Maxi, the teXet TB-138 has a "knockoff" E-ink screen with a screen resolution of 1024x768. And like the Pyrus Maxi, this ereader lacks a touchscreen or an audiojack, so it is limited to only reading ebooks. But it does have Wifi (according to the press release). It also includes support for several ebook formats: Epub, PDF, FB2, Mobi, DJVU, and PDB. It can also read Doc, CHM, RTF, TXT, and html files. There's also a file manager so you can move and delete files without plugging the ereader into a PC. The retail price is for teXet TB-138 converts to a price point slightly below that of the Pyrus Maxi (149 euros). If this device were released in the US, the price would be much too high. But given that Russia is not blessed with Amazon, B&N, and Kobo, I would think there's less composition (also more taxes). Many shops sell the Pyrus Maxi for 130 EUR or less. It can be had for as little as 123 EUR (including shipping), although I personally still find that too expensive, regarding its capabilities. does anyone know if the Pyrus Maxi has a dictionary? Or if one can be added somehow?